Mark Artrip, youth pastor at the Grace Brethren Church of Powell, Ohio, leads a Sponge Session on Sunday morning. His topic? 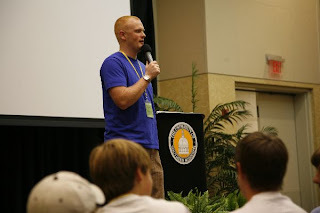 “Biblically Discerning Media.” The small seminars give students an opportunity to soak up the Word.